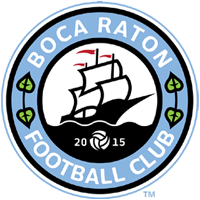 Boca Raton Football Club earned its first win of the 2016 American Premier Soccer League season on Sunday afternoon as they took down Miami Storm, who were Boca Raton FC pinnies due to a uniform malfunction, 3-1 at Tropical Park. Forward Xavier Silva once again scored two goals for Boca Raton, with Bruno Militz once again scoring one. With four goals in two games, Silva is currently tied with Red Force FC’s Stivan Salinas for the lead in the APSL Golden Boot. Boca Raton went down 1-0 in the 31st minute when Miami Storm’s cross was able to beat Boca Raton FC’s keeper, Nilton Queiroz and was saved by McInerney but Miami Storm was able to grab the rebound and take the 1-0 lead. In a span of five minutes, Boca Raton was able to regain the lead and never look back. In the 35th minute, Lorenzo Cava ran through side of the field and was able to cross the ball to the box where Silva was able to grab it and turn to his left to score the equalizer. In the 38th Militz was able to run down the left side of the field and with a low cross that beat the Miami Storm defense and found Silva who had no problem putting it in the back of the net. The goalscoring continued two minutes later when in the 40th minute Jason Fitzgerald’s cross in the box found Militz who tapped it in for his second of the season and the third goal of the afternoon. Boca Raton FC will now have no APSL game until June 11 as they take on Uruguay Kendall at home. The club will be playing one major scrimmage on May 30, and another at the start of the month.